Every day, the number of Forex brokers grows. This is both good news and bad news for the average trader. On one hand, it does mean you have a much larger pool of qualified brokers to choose from. On the other hand, not every broker who sets up shop is fully qualified or worthy of the investment. It’s up to you to weed through all of the possible options and find the broker who best suits your needs. In order to locate the best Forex brokers for Forex or CFD trading, you need to know what you’re looking for and what’s important to you. Almost every broker has some quality or feature that makes them stand out. This could be competitive pricing, unique services, or tons of experience. Ideally, you want to find a broker that has several of these qualities. Here are some other important attributes to look for when you are searching for a new broker for your account. Leverage is tricky business. Knowing how much leverage you need depends on various factors. Most people, both new and experienced, tend to believe that more leverage is better. This is certainly the case for those who know how to properly handle leverage, but for the novice, too much leverage can be devastating. It’s like loaning a Ferrari to a student driver. Keep this in mind when choosing Forex brokers and you’ll be happy with the outcome. If you’re a new trader, then you want to find a broker who has a low minimum leverage. This will allow you to learn about leverage at your own pace. You will be able to increase the leverage gradually as you become more experienced and more comfortable. If you’re already a seasoned Forex or CFD trading veteran, then you aren’t necessarily worried about learning about leverage and instead want big leverage to help support your trades. The ideal broker will have a very low minimum leverage, but also a very high maximum. This allows for traders of all skill levels to trade with the leverage they are comfortable with. It also means you can learn and grow with the same broker without the need to leave in the future when you feel you’ve gotten too big for their restrictions. Many new traders put a great importance on the initial deposit requirements enforced by the broker, but not always for the right reasons. Shopping around for a broker that accepts the lowest minimum deposit is rarely ever a good idea. Many of the best brokers may require higher deposits above even $500 or more for various reasons. 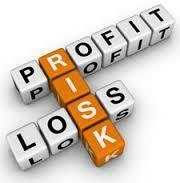 For starters, starting with the smallest deposit possible for Forex or CFD trading is very risky. It’s possible that the entire account could be depleted without making many trades at all. Experienced Forex brokers understand this and might require higher minimum deposits to help avoid this problem. It also ensures them that you are serious about doing business with their firm. Therefore, joining with a serious broker such as https://www.xtrade.com/ for CFD trading or any other similar activity will help you start without investing a lot of money. Don’t settle for the first broker’s site you come across, even if they have great deals and a lot of positive reviews. There are a lot of options out there and you should create a list of at least three or four before making a final decision. Once you have that list, start making some comparisons between them. Check reviews, prices, and history of the firms until you’ve made a decision you are comfortable with.